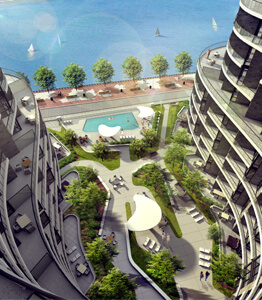 Aquavista is the second phase of the Tridel / Hines master planned Bayside community. As one of Toronto’s most luxurious and desirable addresses, spaces are designed to rejuvenate the mind, body and soul: from the state-of-the-art fitness centre, spinning and yoga studios, to the show-stopping rooftop terrace with infinity pool. With completion expected by summer 2018, Aquavista is distinctively modern in its styling and possesses an understated elegance. This nine-storey, 100-unit luxury condominium, is a striking architectural statement that sits on a reconstructed pier facing the Boston Seaport. II BY IV DESIGN is a co-designer on the project, specifically responsible for the marketing centre, suite finishes and the development of two kitchen types, transitional and contemporary. 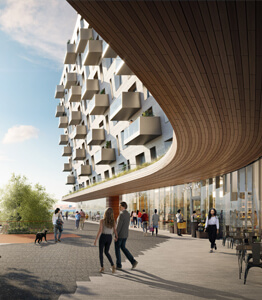 The project is scheduled for completion by early 2018 and the marketing centre opened to much anticipation in spring 2017. Winners of the 2017 Gold Nugget Awards were revealed on June 29th at the San Diego Convention Center. 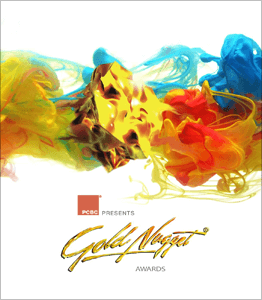 Now in its 54th year, the Gold Nugget Awards is a prestigious competition honouring exceptional community design and planning. II BY IV DESIGN was honoured with four awards, chosen from over 600 international entries. The Rockwell was a notable winner taking the Grand Award for Best Multi-Family Housing Community and the Award of Merit, Residential Housing Project of the Year, Attached Product. This San Francisco project is an elegantly appointed residential development featuring amenities that reference Pacific Heights’ Art Deco heritage. LUMINA, another San Francisco project, came away with the Award of Merit, Best Mixed Use Project, and Toronto’s own Minto 30Roe won the Award of Merit, Best on the Boards Multi-Family Community.